What is IDE or Integrated Development Environment? The Customize Windows > Computer and Internet > General > What is IDE or Integrated Development Environment? IDE or Integrated Development Environment is a set of tools to increase the productivity of programmers to develop software. IDE or Integrated Development Environment itself can be intended for fully Free / Open Source Software (F/OSS) or can be integrated with closed source software’s SDK (Software Development Kit). Possibly you know or use some IDE like Exo IDE. IDE or Integrated Development Environment usually includes a text editor that allow to start the compiler by pressing a button or have an online debugger, which allows to run the program line by line. Some environments are dedicated to a particular programming language. An IDE normally consists of (i) source code editor (i) build automation tools (iii) a debugger. An integrated development environment is a set of tools for programming in a given language, which are distributed together. It allows the developer to manipulate using a simplified graphical interface. IDE typically has a graphical interface to launch different tools. The Editor offers the functionality of a regular text editor, the compiler allows the programmer to check the syntax errors in the source code, and the debugger can check for the logical errors. More extensive integrated development environments contain other useful components such as tools for version control, project management, UML modeling or the possibility of easily creating graphical user interfaces (GUI). There are also applications that several specific IDEs under a common user interface. Primarily integrated development environments are useful tools where the software developers frequently perform recurring tasks, it provides quick access to important functions with which the work can be managed between the results and transferred directly to later processing functions. The developer is thus relieved of formal work and can concentrate on his/her actual task – the software development / programming. Visual Studio and Eclipse development environments are quite popular. Eclipse allows to write, compile, run and debug applications. The debugger allows you to run the program line by line and check the status of variables . Eclipse allows, from a Workbench main window to access different perspectives from which the source code of the program can be viewed and modified. It can be used with many programming languages, the most commonly used is Java. It includes the features to assist the creation of common constructs of the Java language (packages, classes etc.) and a function to generate documentation. Visual Studio marketed by Microsoft, allows to create programs, compile and debug. *nix programmers can combine command-line POSIX tools into a developmental environment capable of developing large programs such as the Linux kernel and its environment. The free software GNU tools (GNU Compiler Collection (GCC), GNU Debugger (gdb), GNU make) are some of the examples. Apple Macintosh’s Mac OS always been popular for IDEs, from Macintosh Programmer’s Workshop, Turbo Pascal, THINK Pascal and THINK C environments of the mid-1980s to current Xcode. Now several Web integrated development environments are available, web integrated development environment(Web IDE or WIDE) is a browser based IDE that allows for software development. As it is a fully different topic, we will separately discuss about it. This Article Has Been Shared 8303 Times! Articles Related to What is IDE or Integrated Development Environment? Title: What is IDE or Integrated Development Environment? 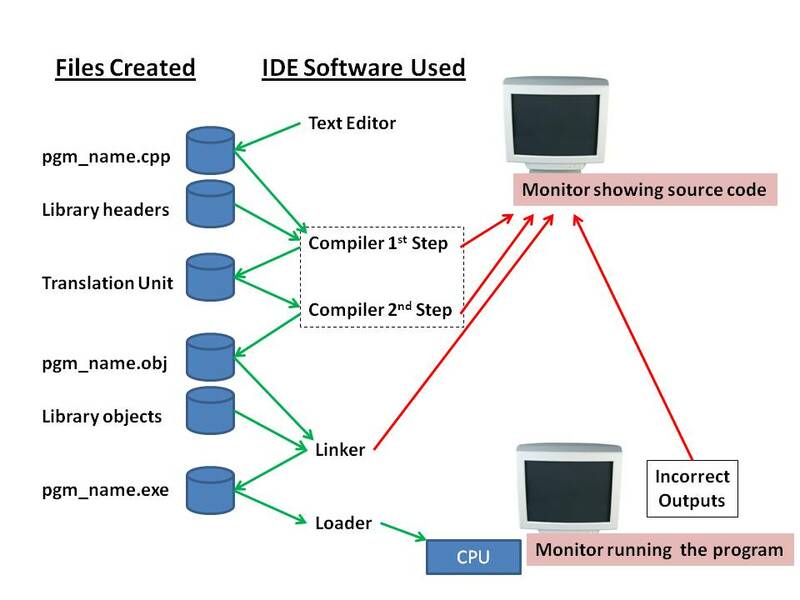 Cite this article as: Abhishek Ghosh, "What is IDE or Integrated Development Environment?," in The Customize Windows, June 10, 2014, April 21, 2019, https://thecustomizewindows.com/2014/06/ide-integrated-development-environment/.